Comedian Koffi is not happy, or rather pissed at the fact that PSquare are bringing their family drama to social media, for this, he’s gone all berserk to the twins. In a recent chat with HipTV, the comedian was asked to make a comment about the ongoing drama between the brothers, and he went complete bozo, dragging the brothers and their feud, tagging it as childish. 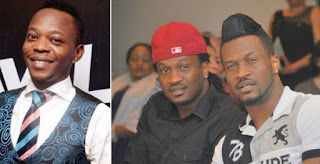 The comedian successfully said what many frustrated fans have been thinking, fans who are subjected to the brothers’ annual family drama, because folks are up on social media, applauding him for dealing the brothers a huge blow.